Business aviation sometimes comes under attack in the press… and rightly so, if it is being used as an excuse for a jolly at the companys (and shareholders) expense. However, there are benefits to business aviation; provided it is used correctly it can actually save a company money. 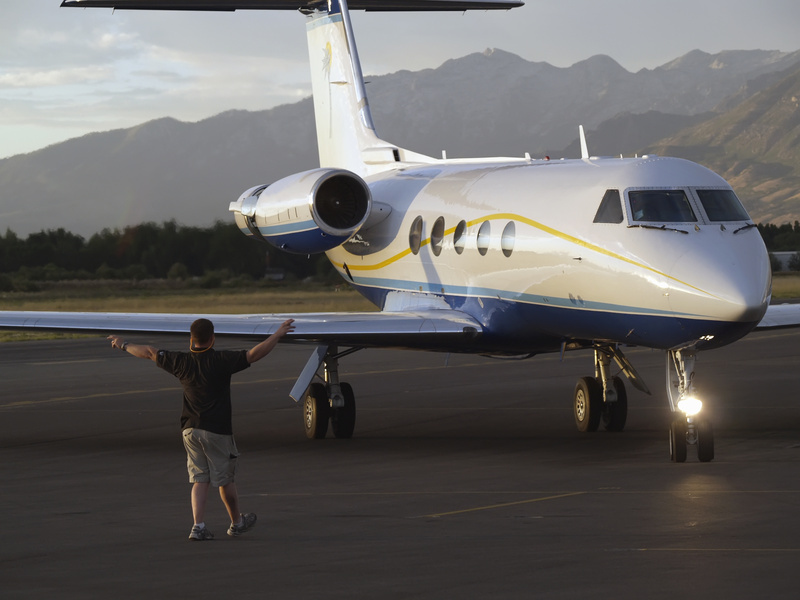 If executives charter a jet using their own funds that is a different matter – indeed the market for private leisure aviation is an interesting one, but not the focus of this blog. I have been a qualified private pilot for eleven years now, and at one point was actually training towards my commercial pilot’s licence, with the intention of flying business jets in the quiet months of the tax year. There are many different types of aircraft available, and each will have its own benefits. They could range from helicopters, four seat light aircraft, to larger single and twin cabin aircraft up to business jets and even full size airliners. Each will have its own set of positives and negatives, and it is important to choose the correct aircraft for the job – you wouldn’t hire a Ferrari to go to the mail-box, or a horse to take you to a meeting (although I do actually know someone who takes their horse to the mail-box!) and it is just the same when it comes to aircraft, the right tool for the right job. Where you are going from and to are important, as well as transportation links at the locations. Traffic and ease of access are important at both ends; it’s no use saving some time at the airport if it takes you an extra hour to get there. What is important are door to door times. Where business aircraft really come into their own is if your locations are not served by major airports and airlines, then you can really save time. This is the most important thing to consider – the use of business aircraft has to justify the benefits, and if used correctly they can. When you charter an aircraft you are chartering the whole aircraft, so if there are only two people flying in a 10 seat aircraft then the costs per person are much more and need to be accounted for. If you can fill all the seats, you may even find the cost per seat can be less than an airline, and you have added flexibility as well. The correct choice of aircraft is important – I used to fly a four seat propeller aircraft that could actually beat the airlines on a London-Edinburgh run, that I will use as an example. GOSPY, a 2005 Cirrus SR20-G2 GTS, was an aircraft I flew from Blackbushe airport in Surrey. This is a modern, glass cockpit, 4 seat aircraft with a cruising speed of 180mph which makes London – Edinburgh possible in about two hours or London – Le Touquet in about fifty minutes. With a range of over 720 miles, non-stop flights are possible from London to most destinations in Europe. The Cirrus has the same safety systems as the latest airliners (such as terrain, traffic and weather warnings) as well as a high performance autopilot, roll cage and airbags. Cirrus aircraft are unique in that they are currently the only factory manufactured light aircraft to be supplied with a BRS system installed as standard equipment – this is a large rocket powered parachute (17 metres diameter) that will bring the whole aircraft down safely in the unlikely event of an extreme emergency. Overall costs per mile are considerably less than the old 1970’s Piper Archer 2 that I used to own a share in. If there are two people or more on board it is actually cheaper than flying with a major airline, and is usually quicker as you don’t waste time checking in or waiting for baggage. It’s important to make any decisions from a business point of view – you need to weigh up the costs of the time of the people travelling by different methods and choose the best – in some cases it will be much better to travel by normal commercial airlines, whilst in others private business aviation comes out way ahead. And in some cases, the plane may not be the correct vehicle – rather than trying to justify it by complex calculations sometimes you need to think outside the box. For example, from London to Paris I would recommend the Eurostar train rather than flying – it takes you direct from central London straight to Gare du Nord in the heart of Paris.